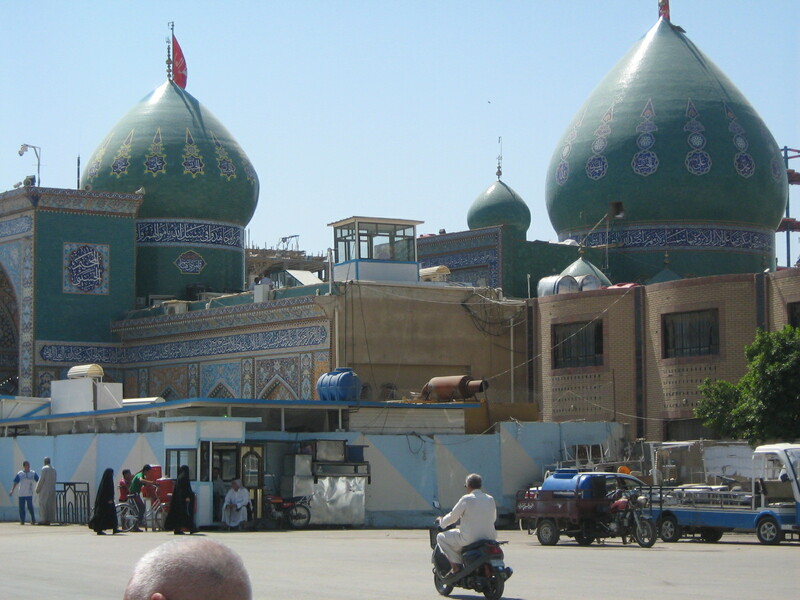 Karbala is one of those few cities on the planet steeped in religious and spiritual significance. Around 20 million descended on this small city during the annual commemoration days of Ashura and Al-Arba’een. For a cross-cultural comparison I would liken Karbala to India’s Varanasi – the City of Shiva – or to the Old City of Jerusalem. At the center of Karbala are the two magnificent shrines to Imam Hussain and his brother Al-Abbas. This is where people come to be inspired, to rejuvenate their faith, and to have their prayers answered. On my first day here I saw clearly identified groups of pilgrims from Iran, Pakistan, India, and Azerbaijan parade down the streets as their guides relate the tragic story of Karbala in a somber, melodic, singsong voice. Walking through the narrow streets lined with shops and turning a corner, you are suddenly faced with throngs of the faithful paying homage at a shrine to one hero or another. You cannot help but sense something other-worldly after witnessing these acts of devotion. I have been told that Karbala has seen much change in the last few years. The city was essentially locked down in the Saddam era only to experience a massive influx of pilgrims and construction projects as the country opened up. This has coincided with a stratospheric rise in property values even though most of the buildings are in various stages of disrepair. The religious significance of this city makes it a prime target for those twisted groups who rejoice at the slaughter of innocents, and so Karbala also feels like an occupied city. What should be about an hour’s drive from Baghdad ended up taking more than twice as long due to the checkpoints interspersed along the desert road. Inside Karbala itself, men armed with assault rifles wearing army and interior ministry uniforms are stationed all over the city in strategic areas. Every person passing through these areas must be stopped and frisked. These measures seem to be more effective here as Karbala is far less prone to indiscriminate bombings than Baghdad.